A unique dip effective against viruses = false cow pox and mastitis-generating bacteria. 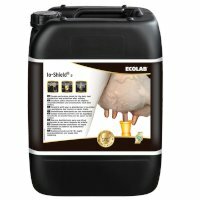 A good product for problem cows around drying off and calving. Contains sustained active iodine, remains active for several years. Ready to use. Read productinformation in PDF-format here. Microfeeder feeding automat for mineralmix.